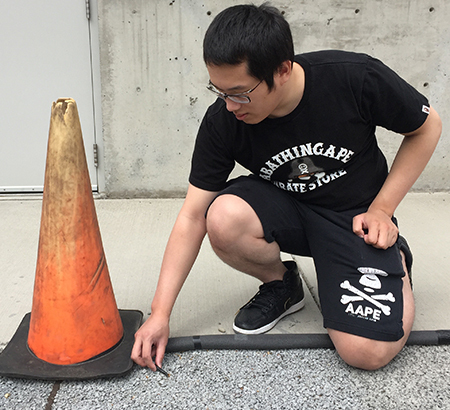 Chemical engineering student Ka Fung Wong looks at the data log that's gathering information from sensors buried under the concrete test plot. Chemical engineering student Ka Fung Wong inspects sensors that are buried under the concrete test plot. The research was funded by the U.S. Department of Transportation’s University Transportation Centers and the WSU Office of Commercialization.